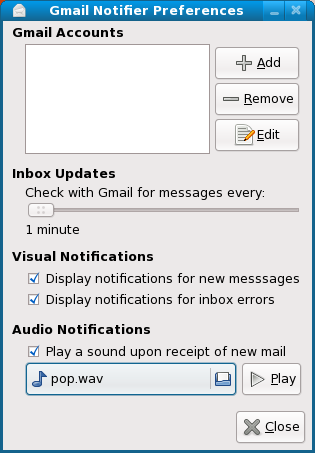 Configuring mail-notification is very simple. Its as easy as it can get but there are tricks for special cases like Gmail for Google Apps hosted websites. 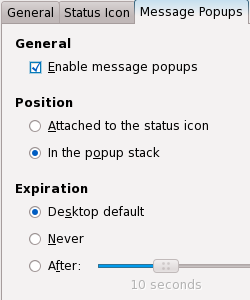 On mail notification properties windows, select Status Icon tab and choose the appropriate behaviour. Now go to Message Popups tab, and select appropriate options. If you don’t enable popups, using mail notification doesn’t really make sense (though none can prevent you from doing so 🙂 ). Keeping popus stacked is good because it shows you all messages in case you get more than one new mails in an interval. Also, you can configure the expiration time for the popups. Now select General tab and click of Add button. 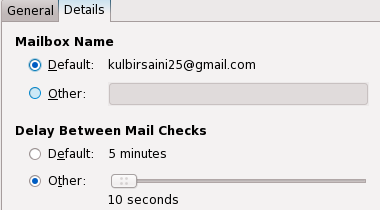 Mail-notification supports checking new mails from Evolution, Gmail, Yahoo! Mail, Windows Live Mail, any IMAP and POP3 Server and moreover your system mailbox 🙂 Select Gmail for mailbox type. 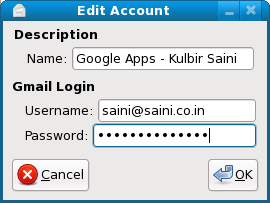 Enter username and password for Gmail account. This is totally optional 🙂 Now we’ll add a Google Apps hosted account. This is a bit tricky. For mailbox type, you’ll have to select Gmail. For username, you’ll have to provide your email address. Also, the mailbox name has to be modified in this case to make things work. Move over to Details tab and change mailbox name to your email address. This is totally optional 🙂 Keep mailbox type as IMAP. 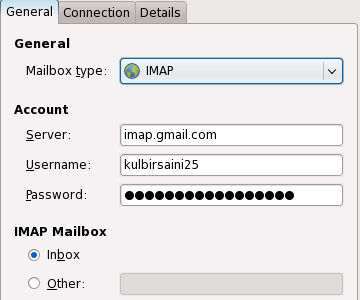 IMAP Server has to be imap.gmail.com . 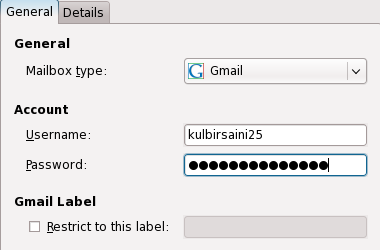 Username and password are same as Gmail Account. 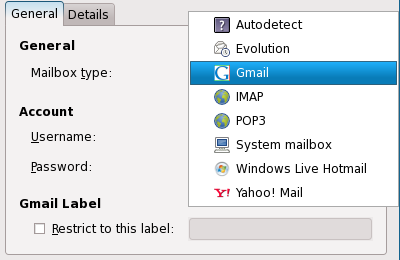 Note: For this mailbox to work, you’ll have to enable IMAP in settings tab in Gmail. Now move over to Connection tab. Connection for Gmail IMAP has to be SSL enabled. 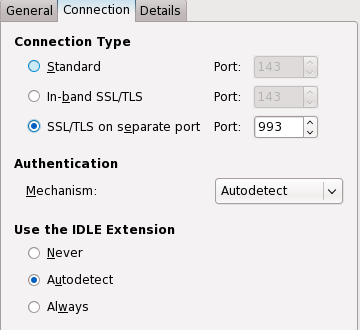 So, select “SSL/TLS on separate port” and make sure the port number is 993. The only major disadvantage that I found with mail-notification is that it doesn’t stay in notification area all the time. It appears only when there is a new mail. Our self paced training courses MB5-856 and high quality MB6-817 provide you definite guarantee for passing the MB7-839 real exam. If you get through 70-294 and 70-235 exams, you will find other. As promised in my last post (News: ATI Catalyst Display Drivers 9.9 Released), I am back with a post on configuring dual display with ATI Radeon HD Graphics Card and proprietary catalyst (fglrx) drivers from ATI. Mirror: Both screens have same content, identical refresh rate and resolution. Clone: Both screens have same content but refresh rates and resolutions can be different. 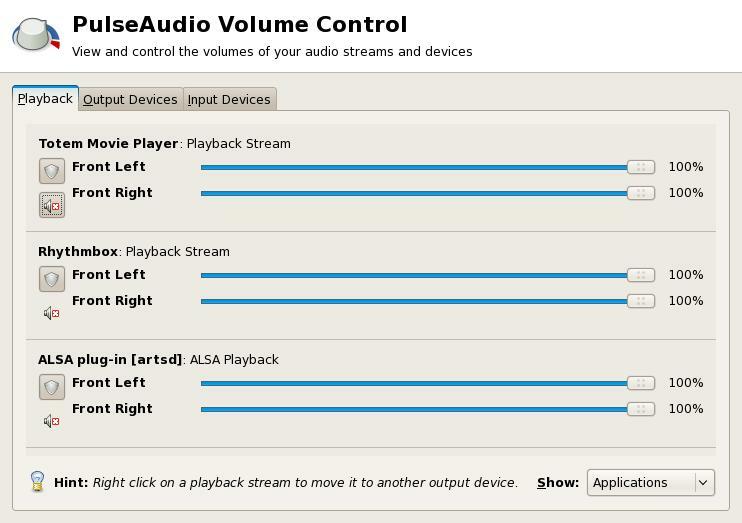 Horizontal: Both screens can have different content, refresh rates and resolution. Screen 1 is left or right of Screen2. Vertical: Same as horizontal. The only difference is that Screen1 is above or below Screen2. In this post, we are interested in Horizontal setup with xinerama on. This way we can have two desktops allowing full screen modes on both of them and allowing us to drag and drop windows from one screen to the other. 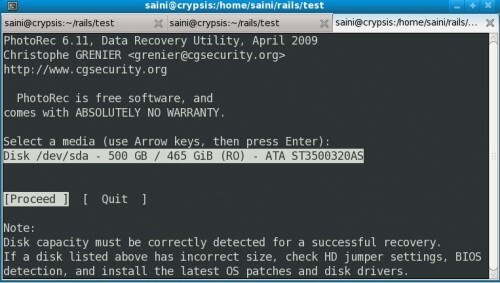 If you don’t have ATI drivers installed already, follow this How To: Install ATI Catalyst (fglrx) Drivers on Fedora 11 (works for any version of ATI Catalyst drivers). 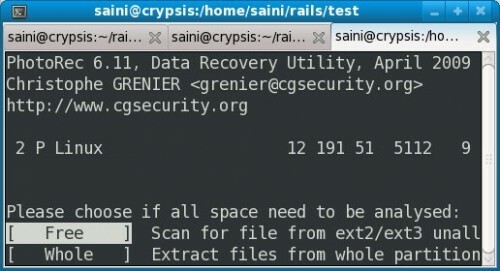 This command will generate the default xorg.conf file at /root/xorg.conf.new. 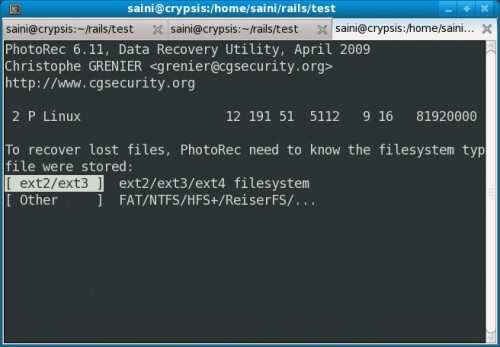 Copy it to /etc/X11/xorg.conf. 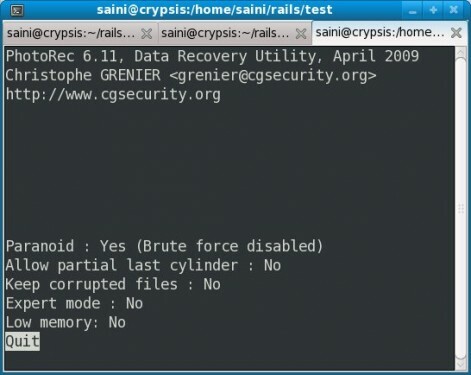 Backup your original xorg.conf file so that you can restore it in case the configuration doesn’t work the way you expected. # --screen-layout will place second screen on left of your first screen. Other possible values are right,above,below. 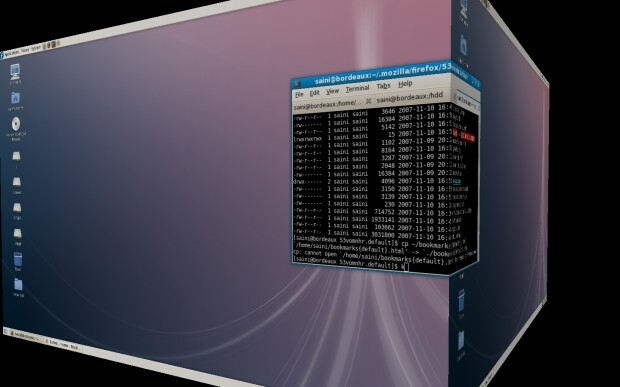 # --xinerama=on option enables you to have two different desktops and one of them being passive. # You can drag and drop windows from one desktop to the other. Task bars appear only on one of the desktops. 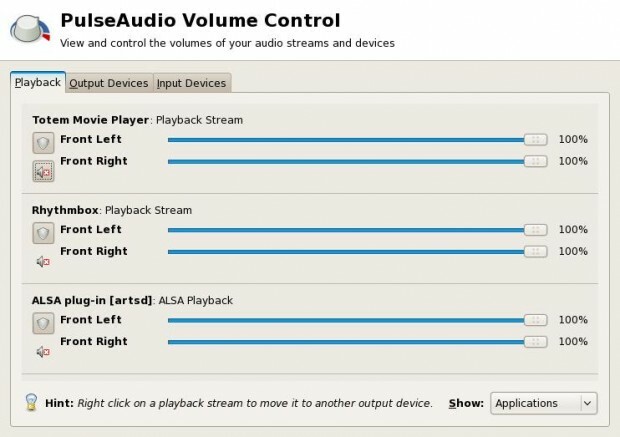 # Set horizontal sync and vertical refresh rates for both monitors. You can download my xorg.conf file via this link. I faced a problem with my font sizes being too big while using xinerama. It was easy to fix by adjusting DPI. Go to System -> Preferences -> Appearance. Go to Fonts tab. Click Details located near the bottom right corner. On that window, try descreasing the “Dots Per Inch” value. Mine worked fine with 85 DPI. Below is an image of my dual display setup. Click to enlarge. Are you looking for MB4-217 and MB5-858 exams help? You can download our MB6-819 and 70-177 to pass your real 70-284 exam. Well, I happened to attend this workshop on “How to build business around open source tools” organized by Twincling Society and IIIT Hyderabad. There I came to know about Spicebird. Spicebird is a single platform for many collaboration needs. 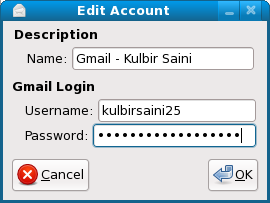 It provides e-mail, calendaring and instant messaging with intuitive integration and unlimited extensibility. Spicebird is being developed by a Hyderabad based Indian start-up named Synovel (All four founders are alumni of IIIT Hyderabad). Below we look at some features that Spicebird provides. 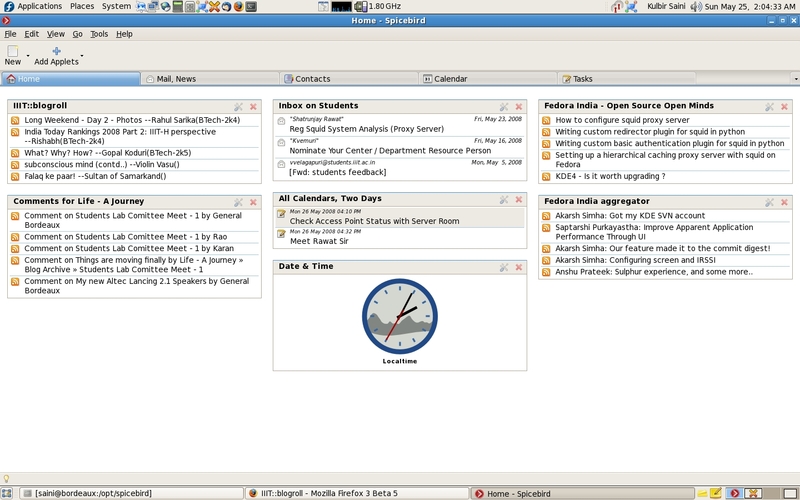 The tabbed interface for different utilities like mail, calendar, contacts, tasks etc. looks pretty clean. The interface is not at all cluttered in any way and navigation to different utilities is straight forward. You don’t have to brainstorm before getting something done. 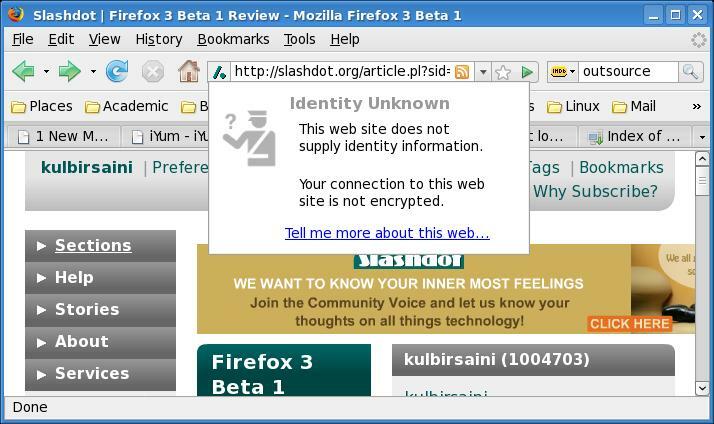 Spicebird has an interface similar to loads of mozilla based application out there. The settings, preferences and the way things have been managed are familiar. So people who are switching from other open source email clients will not face any problems at all. 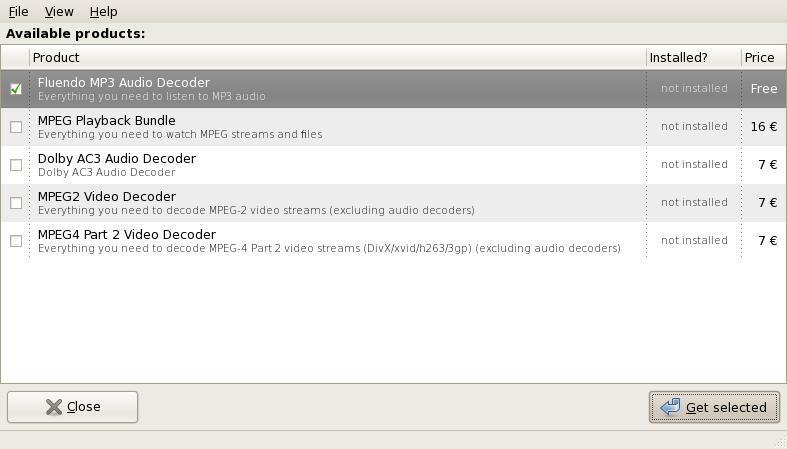 Spicebird uses icons from Tango Project. The icons used are really good looking. The way Home tab has been organized is really appealing. You can add applets which includes rss feeds from you favourite blogs, mail folder views, calendar, upcoming events and Date & Time. Geeks love rss feeds. And what can be better than having it on your home tab all the time along with your mails. Event applet comes handy to remind you of the upcoming meetings and deadlines. And its on home tab all the time 🙂 Date & Time is specially helpful when you collaborate with people in different timezones. So you can add their timezone on home tab and you know when is the right time to ping them. Email experience is more or less like any other open source email client. But Spicebird provides some intitutive features like if it finds that the content of a mail is about a meeting, it’ll give an option for creating a calendar event for the same. This is a really good feature and this is just the begining. Spicebird is still beta. This is a really cool feature from collaboration point of view and which makes Spicebird different from the masses. Spicebird is supporting IM via any jabber server. 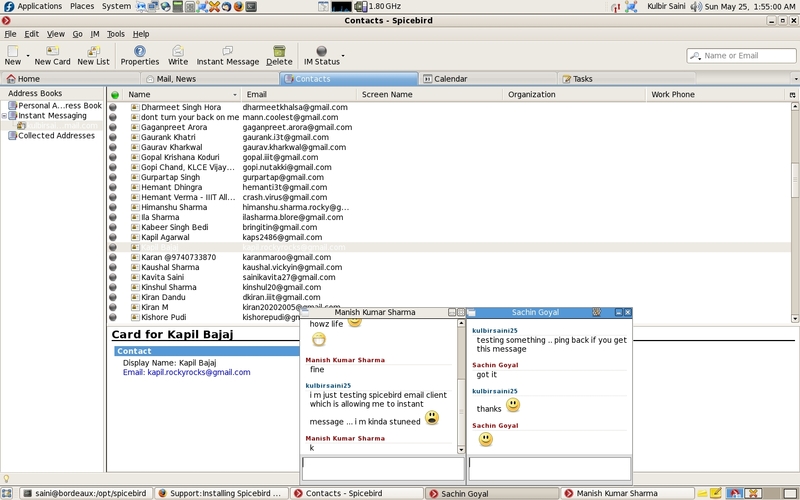 So if you are a startup, setup your own jabber server on Intranet and use it for collaboration. Mind blowing!! This also includes Gmail/GTalk. So you can just say bye bye to your messenger and start using it right away with GTalk. Plus this will import all your contacts to your local address book. Another real good feature which is not there in lot of other email clients. You can look at Spicebird Roadmap here and checkout the video demo of Spicebird here. Review: KDE4 – Is it worth upgrading? 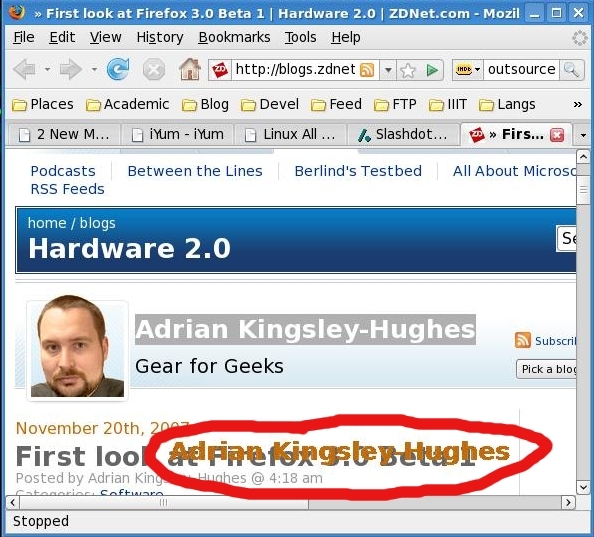 KDE4 was released on Jan 11, 2008. I noticed the rpms for Fedora on rpmfind.net on Jan 13. It was a big trouble to get packages one by one keeping in mind the dependencies. I tried Yum with rpmfind repo but it didn’t work out. Then I used the server where my domain is hosted. I have 15GB bandwidth per month and the download speed on the server is awesome (average 400kbps). 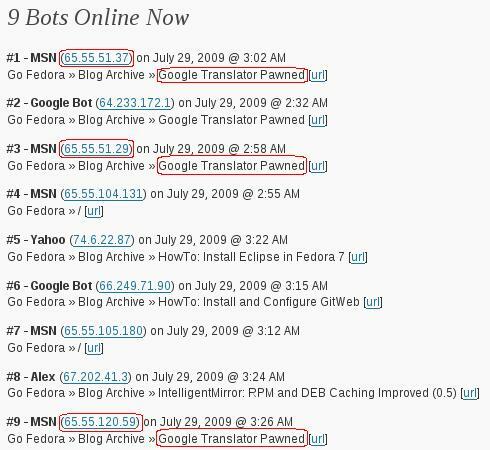 So, I just ftp to rpmfind.net and downloaded all the rpms on the server hosting my site. And then I downloaded the packages from my domain to my local machine ( No effort for searching now and I can do parallel downloading now). 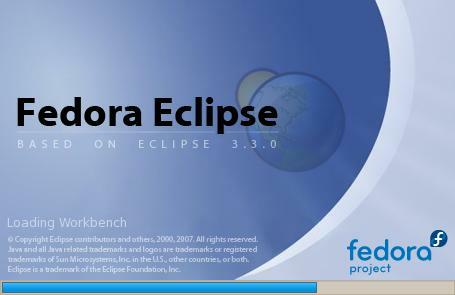 So, lets see how to install KDE4 on Fedora. 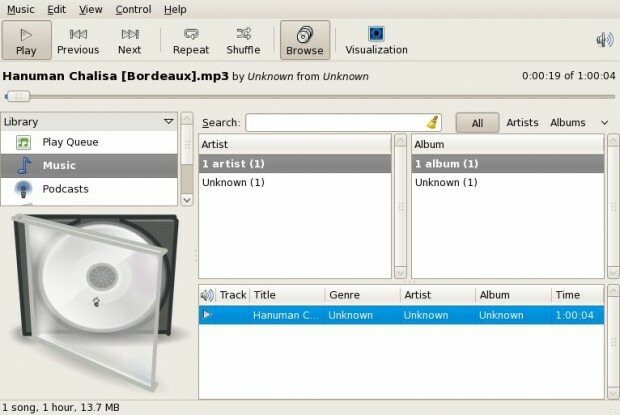 Get the KDE4 rpms from rpmfind.net . Here is the list of all the kde4 rpms that you need to download from rpmfind.net. Enable the fedora development repository. In '/etc/yum.repos.d/fedora-development.repo' file check if enabled is equal to 1 for development repo. If its zero, then change it to 1. Use yum to install the kde rpms that you have downloaded. I was expecting a lot from KDE4. But a lot of things went wrong. When I logged into KDE4 for the first time, everything was looking awesome and very sharp. But then I faced the first crash while editing the settings for a widget and I realized that its not possible to have a crash free KDE application. After upgrade ( which cost me around 1GB of downloading via yum) and spending a lot of time manually downloading the packages, all I got was a desktop environment which will crash frequently to remind that you just wasted 1GB of bandwidth. After upgrading, Kopete stopped working due to some conflict in ssl libraries, xchat is also not working due to some other library conflicts, dolphin the new file manager for KDE doesn’t even start and flush all kind of errors and faults when launched from command line. After the first crash the panel disappeared and I couldn’t get it back. Launching kicker returns the kde3 panel. KDE4 is awesome when you just sit back and look at it. But when you want to work with some apps, its miserable. One of my friend had this status message on gtalk ‘ KDE4 : KDE3.5.8 :: Vista : XP ‘. KDE4 is as good as Vista when it comes to looks but its equally bad as Vista as compared to XP when it comes to work with it. 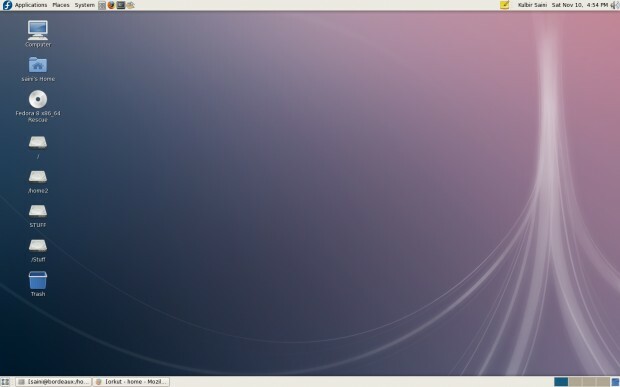 Conclusion: Don’t upgrade to KDE4 and wait till May, 2008 when KDE4 will be shipped with Fedora 9. I hope that KDE4 will not crash frequently when it’ll be embedded natively. Firefox 3 Beta 1 is available now. I downloaded the package yesterday morning and started using it right away. While using, I figured out some of the good things and at the same time there are some bad things about this test release. Here is what I feel about Firefox 3 Beta 1. Well someone may argue that you can configure any font in any version of Firefox, so whats the good thing about this default font in Firefox 3 Beta1. 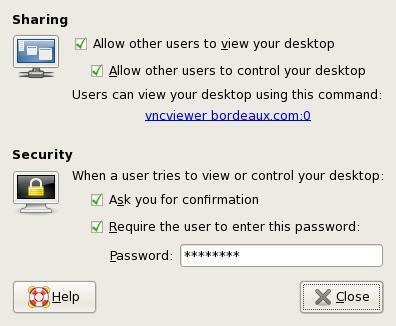 Well, I’ll say that configuration is always available but nobody gives a damn to configure the font in browser. I am liking this default font in FF3 Beta1 and everything now seems interesting to read. I have Read more than 40 wiki pages since last two days. 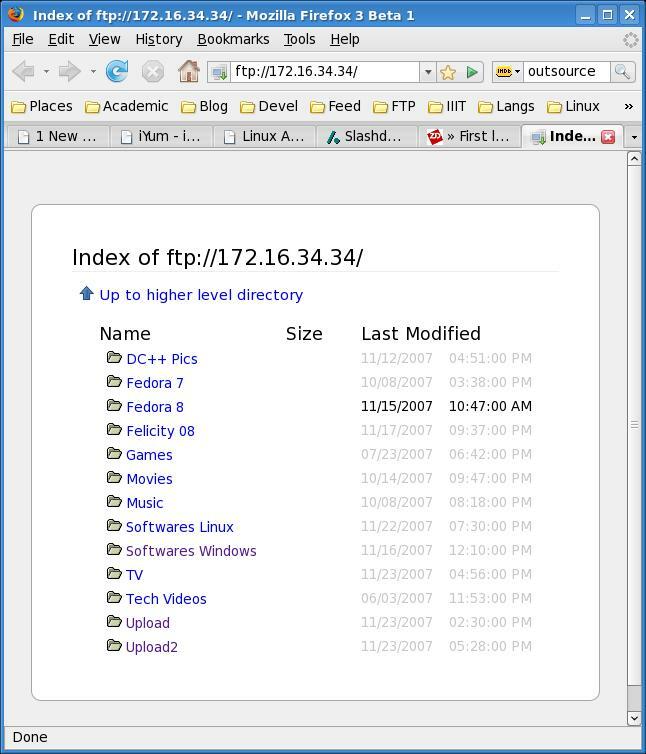 The FTP listings in Firefox 3 Beta 1 has got new stylesheet. Its not dirty any more. It feels good while browsing ftp now. See the screen-shot below. This is new feature, but I couldn’t find it useful. When you click on favicon in the location bar, a pop-up kinda thing comes up, which tells about the identity of the site you are visiting. Check out the snapshot below. 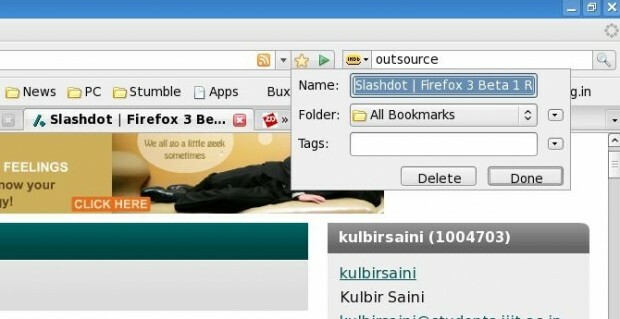 You can now hold any thing in Firefox 3 Beta 1 and drag it anywhere you want. Though I could not drop the images to gimp or anywhere else, it looks good. I think its in the development stage right now. Bookmarking a website or editing your bookmarks is far easier now. You can edit a bookmarked site while its loading or can bookmark the site by just clicking a button. A new star-shaped button has been added in the location bar before the go button. If a site is not bookmarked, clicking the button will just bookmark it without asking for anything. If you again click on the button, now you can edit or delete the site you just bookmarked. 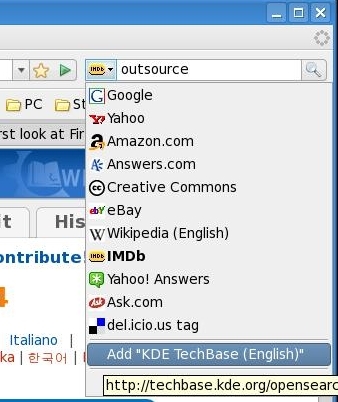 In firefox 3 beta 1, you can add the site you are browsing in you search engine list just like google, imdb, wikipedia, yahoo or whatever. But this is not valid for every website. Every website in this world can’t be a search engine 😛 Checkout the snapshot or KDE. Firefox 3 beta 1 implements a new searching/sorting mechanism for links in location bar. As you type some letters, those are now searched in the link as well as the title of the page and then the links are sorted and displayed as list. In drop down list, you can also see the sites on your bookmarks. A new bookmark folder named ‘Places’ has been added. 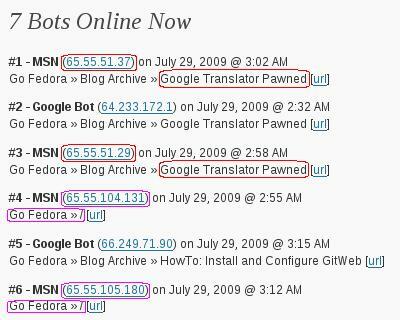 It has 6 sub-folders which contains links to different site based on a particular criterion. Some of them are ‘Recently Starred Pages’, ‘Recently Visited Starred Pages’, ‘Most Visited Starred Pages’ etc. I was looking for something like this since a long time. Because every time I login into my PC and fire up my firefox, first of all, I visit 8-10 sites (students mail, slashdot, iiit blogroll, yahoo mail, gmail, forum, orkut etc.). Now, I can open all of them in just one click. I click on ‘Most Visited Starred Pages’ and done. Well, a review of Firefox 3 Beta 1 on zdnet, say that Firefox 3 beta 1 is consuming low memory than Firefox 2 and IE 7. That review is for Firefox in windows. But in Fedora 7, I didn’t experience any reduction in memory usage. I don’t know how to justify this, but Firefox 3 Beta 1 seems to load pages faster. What I could think was that, when you click go, it loads the page in the background for some-time and then suddenly flushes the page to the screen and it appears that the entire page has been loaded in one go. I may be wrong though. The rendering of buttons, input fields, images in the pages have improved a lot and buttons and drop down menus look better now. Life is a bit or I should say a byte difficult with Firefox extensions. Now, I am too much used to use these extensions that I can’t live without them. I’ll crash if I don’t have ‘Undo Closed Tab’ extension. I keep making stupid mistakes. All the extensions are not yet available for Firefox 3, so its a problem. 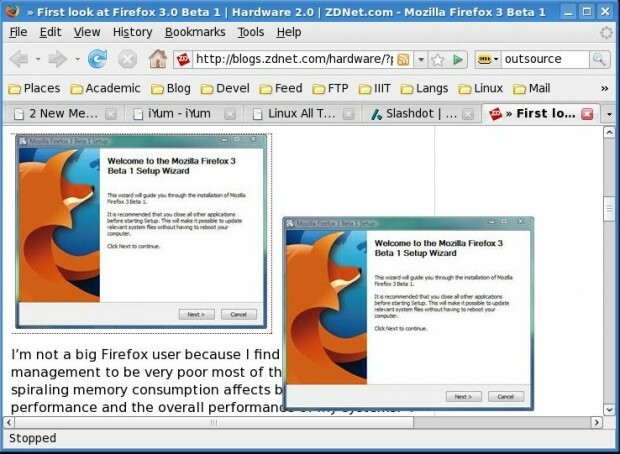 Firefox 3 Beta 1 immediately dies if I open more than 20 tabs. I opened my wiki saved session (39 tabs) and after sometime I was searching for Firefox. Where the hell firefox window has gone? I don’t know what exactly is the problem, but I think Firefox 3 revolts against Yahoo Mail and GMail. Whenever I open Yahoo Mail or GMail, Firefox 3 Beta 1 crashes. Either there is some problem with the heavily loaded mail pages or it doesn’t want me to use GMail or Yahoo. Well, there may be lot more positives and negatives. These are the things I noticed about Firefox 3 Beta 1 in last two days. As the positives list is ruling the negatives, I am using Firefox 3 Beta 1 full time these days. PS : @Paresh I think FF3 is better than FF2 in many ways. But you may want to wait for all the extensions to be compatible with FF3.